​​​​​ SHENANDOAH – Dave & Buster’s, an entertainment food and beverage venue, has signed a lease at Metropark Square. 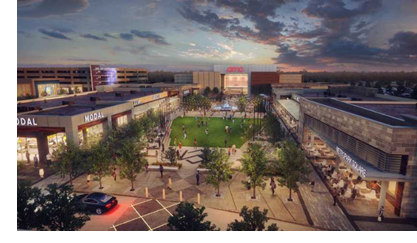 Located on I-45 in The Woodlands trade area, Metropark Square is a mixed-use development with 175,000 sf of retail, restaurant, and entertainment space on 70 acres. Dave & Buster’s will occupy approximately 40,000 sf when it opens in February 2019. Metropark Square will be built in three phases with staggered completion dates over the next three years. The next phase will add an additional 150,000 sf of restaurant, retail, entertainment venues, a limited service hotel, a full-service hotel, and over 300 multifamily units.